O. lacaena was first described from Lakonia, Greece by Delforge in 2004, being named after Leda, Queen of Sparta (Virgil nicknamed her Lacedaemoniun). 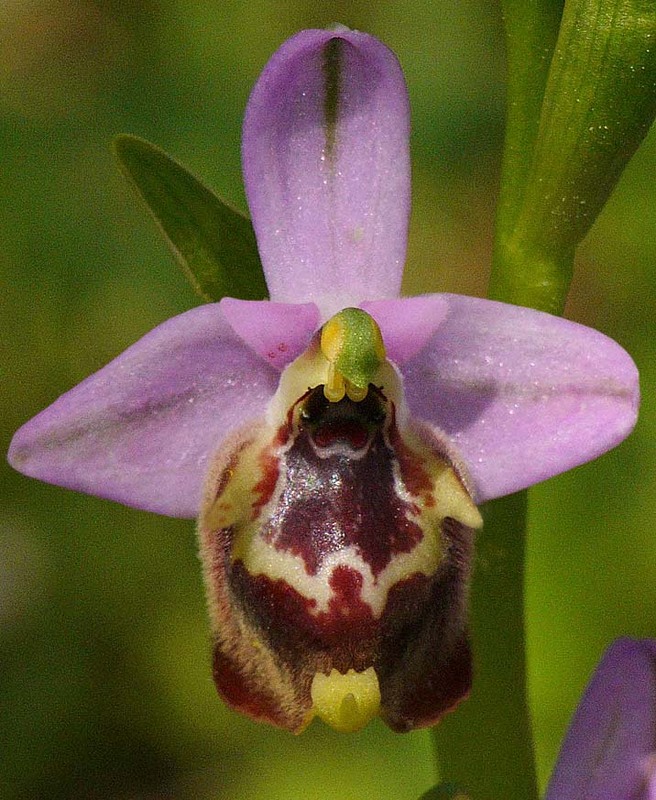 The species is a member of the large and recently expanded O. bornmuelleri group of Ophrys and also known by some authorities by the preferred synonym O. candica ssp lacaena. Although once thought to be more widespread, this species is now considered to have a range limited entirely to the Lakonia region of the Peloponnese in Greece. Its distribution seems centred on the coastal town of Gytheio, thus putting the species future at considerable risk due to extensive local tourist development. O. lacaena is a distinctive orchid that is not easily confused with other Ophrys within its small range, it is however morphologically very close, if not indistinguishable from its close relative from Rhodes, O. candica v minoa. It is easily recognizable as an O. bornmuellerii group member by virtue of the complete and often dense marginal ring of light coloured hair. The labellum is brownish red and the speculum generally bluish with typically candicoid cream edging and ocelli. The basal swellings are long, divergent and pointed with hairless inner surfaces. Perhaps the most significant difference between O. lacaena and O. candica v minoa is that the stigmatic cavity of the former species is less constricted at the base. The picture comes from Gytheio, dating from the second week of April.